Developed with progressive technology, we offer the finest Comb Spico Binding Machine to the market. 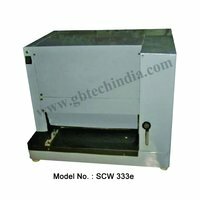 Our offered Comb Binding Machine meet to higher industrial norms and used in various domestic & commercial sectors. The Comb Spico Binding Machine we offer is best-known for its salient features such as energy saving, noise-free, portable design, tough built, maximum punching & binding capacity. 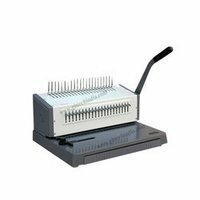 Our range comprises Electric Comb Binding Machine, Electric Comb and Wire Binder and other related products. In addition, we design innovative Comb Binding Machine With Punch to satisfy all the rising requirement of the market. Comb Binding Machine manufactured by us exhibits a perfect blend of modern technology, creative ideas and quality material. 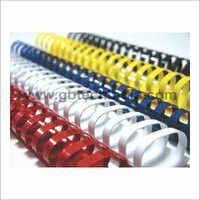 Therefore, our range of Comb Binding Machine is in high demand. 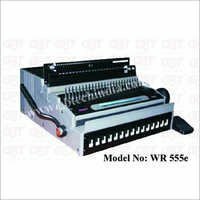 Moreover, we confirm to excellent Comb Binding Machine With Punch, as it is designed under some specific quality parameters that are based on experts' lines.